American Transmission Company LLC is the first transmission only multi-state company. The organization was established in the year 2001. 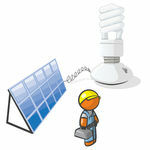 Offering customer oriented services the company has become one of the popular transmission utilities in United States. The company makes use of natural and fossil energy to transport electrical power from the place of manufacturing to different destinations. Services offered by the company are similar to that of interstate highway transmission. ATC provides transmission service in upward capes of Michigan. Transmission services are offered through 525 substations and 9440 miles of transmission lines. The organization has access to regional and local energy sources to offer transmission services. There are currently 0 consumer reviews about American Transmission Company, Llc available. Share your review. Please take a note that you are about to post a public review about American Transmission Company, Llc corporate office on CorporateOffice.com. This review will be public, so please do not post any of your personal information on this website. If you would like to contact the corporate offices of American Transmission Company, Llc, please use their contact information such as their phone number, website, and address listed above to contact them. However, sometimes staff from American Transmission Company, Llc headquarters do read the reviews on this website.